I have no read on Jon currently but I'm willing to bet Hallia is just getting that middle of the pack vote in. I was confused on some of his posts, but I think the post before this one by you, helped clarify it. Re reading as his first thought process makes more sense, and males halliah's post look really bad imo. Also I am not sure I am getting the same vibe from eld here. He is blatantly shouting he is town over, and over. Thank you for breaking the chain, Heart. I....don't know if I buy it. Eldrick is town for sure. Maybe Seph as well. Six posters, high likelihood that we already have a wolf in thread. Not enough to go off of but IMO I'd go ahead and put Eldrick and John snow as town and might drop Seph back to null for being foppish but idk him well enough to really make that assertion yet. Why are you trying to channel Correh? So far Zander's posts look good to me. I don't expect anyone to buy it. That would be stupid to assume I'm town without reason. I'm just glad I am. he is also very new, and hinted at something I have a very high expectation to be in this game. Maybe I am to tired to get this. Blah. What are your thoughts on darth and ithi ep? 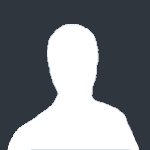 Darthe is known to be active as mafia or town he reminds me alot of Myndrunner i dunno if I spelled that right, but I doubt you know who that is, so atm I'd say null read on him. Ithi on the other hand is notorious for singling me out on day 1, the fact that she hasn't this game puts her on my list of people to watch. Good to know about darth. I like the direction he is headed for now. I would say eld,snow,halliah's are mixed for me right now. Eld has been in a couple of games. I'm not cutting him as much slack as I am say Mashiara. oh I'm not cutting him any slack but with the way he posted those two posts made it pretty clear to me he is just a lonely townie with no clue what to do since this would be his first game without others to give him advice. I don't like his preaching his townie-ness but I can't see his hint of cyndaquil as being a lie. I hinted at something? I said who my Pokemon was, which for all intents and purposes is a character claim, which really has no impact on the game whatsoever. I'm keeping an eye on whoever it was that tried to buddy up to me for the sole reason that I have a fire Pokemon. I wanna say Zander, but I'll have to go double check. It's no reason to think i'm town, and claiming it is your reason is suspicious. so Darthe, why did you try to start a train on Zander? EP that post of eldricks was pretty obviously a character claim imo. Also how many pokemon are there? like total? I'm using what I know as a basis for believing it. I have my suspicions on which games this ties in with. If I'm right it means all but X/Y gen are viable. no, I made an assumption. However based on my pokemon and the the 1 claimed pokemon it fits. I called it a hint because he didn't outright say his pokemon was Cyndaquil, whether I read it as a hint or claim is like the difference between green apples and red apples. For the record his exact words were "I choose you Cyndaquil" that's a hint at best. However good attempt at distracting. drawing the topic off issues of relevance to debate claim vs hint and trying to discredit Eld's claim/hint what-have you by speculating the number of pokemon in the game. 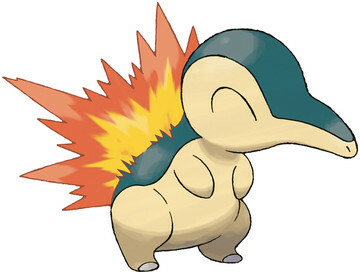 Cyndaquil would be a ballsy fake claim considering it's a starter pokemon. I'm getting scum vibes from Dice. I still believe Hallia is mafia as well so I'll leave my vote there. So one thing hasnt changed. You still miss the point. Im not discrediting Eldrickj at all. I said flat out I thought he claimed. Okay here's my reasoning on why I voted for Hallia, The first 2 quotes are of Eld's very poor choice of game start that has beginner written all over it. Cmon buddy, let's go find us some team rocket. I read the second post as him claiming to have Cyndaquil, which I have a very high reason to believe is in this game. Again a very rookie mistake that I comment on below in the bold. The red is why im looking at you. I wanted to know WHY you have a high reason to believe Cyndaquill is in this game. You explained why you thought that and that was fine. but then you went and twisted things. My questions were aimed at you. About why YOU were saying what you were saying. and in a POKEMON game doesn't it seem obvious that some one saying "I choose You name of pokemon" woulde be a claim done thematically? sigh if you missed my blatant hint shame on you. I don't follow your logic on why you're voting me. I said I have a very high reason to believe cyndaquil's in this game, and that's what you're basing this on? lol. Please refer to my previous post where I said I have scum vibes on Dice kthnx have a nice day. also please elaborate on what I "twisted around"
that im somehow discrediting Eldrick. that reads as if you're saying I tried to change my stance on something hence "twisting around"
except that i put immediately under it what i think you twisted. or you could google search the hints, you seem to be making a lot of illogical comments. And seeing if Ithi would try to use it. She tends to be overzealous as scum so it helps me to get an early good read of her.